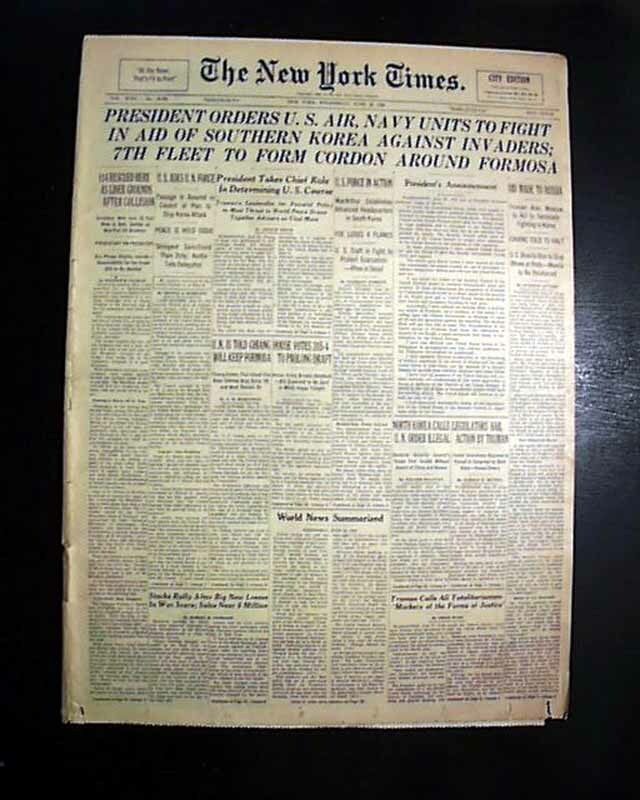 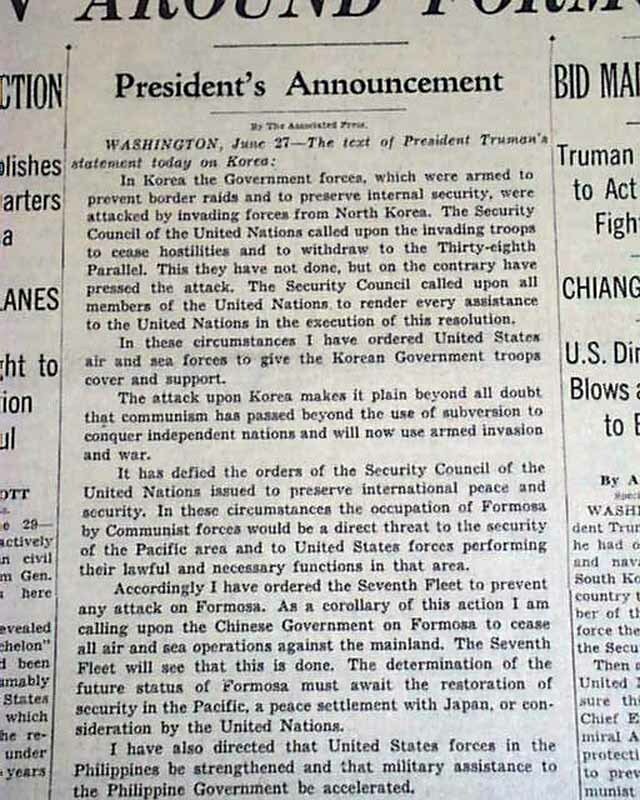 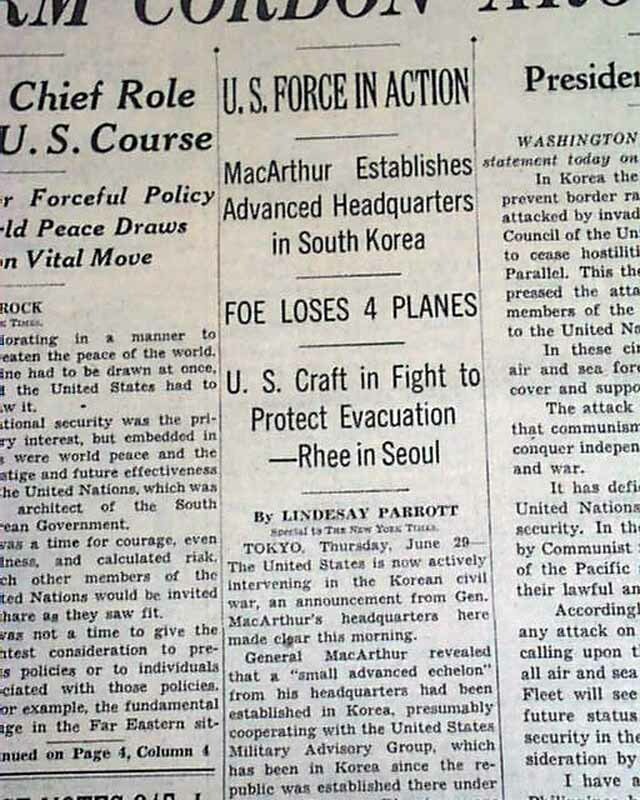 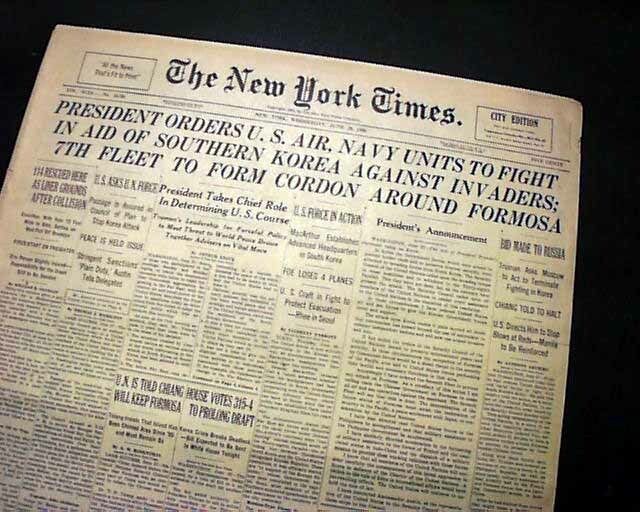 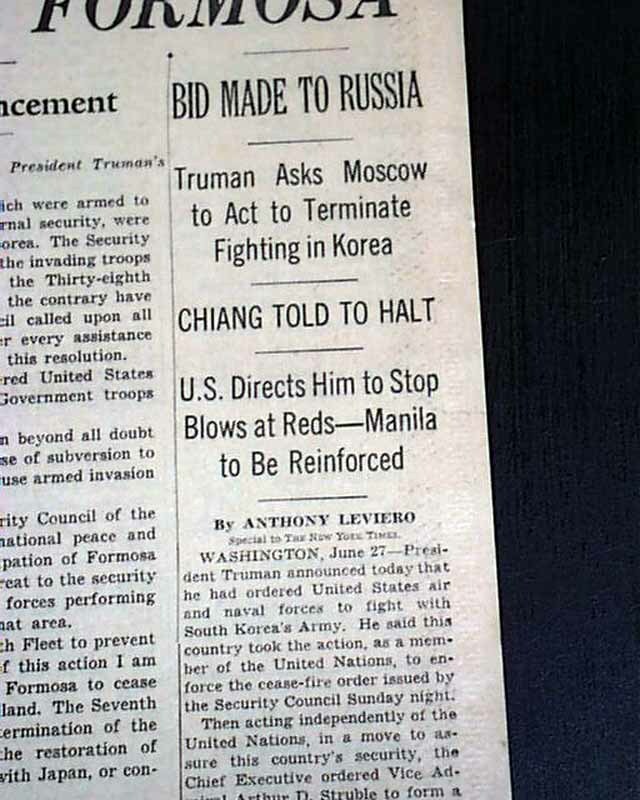 An historically significant issue as it reports the entry of the United States in the Korean War with the banner headline: "TRUMAN ORDERS U.S. AIR, NAVY UNITS TO FIGHT IN AID OF KOREA; U.N. COUNCIL SUPPORTS HIM; OUR FLIERS IN ACTION; FLEET GUARDS FORMOSA" with various related subheads. 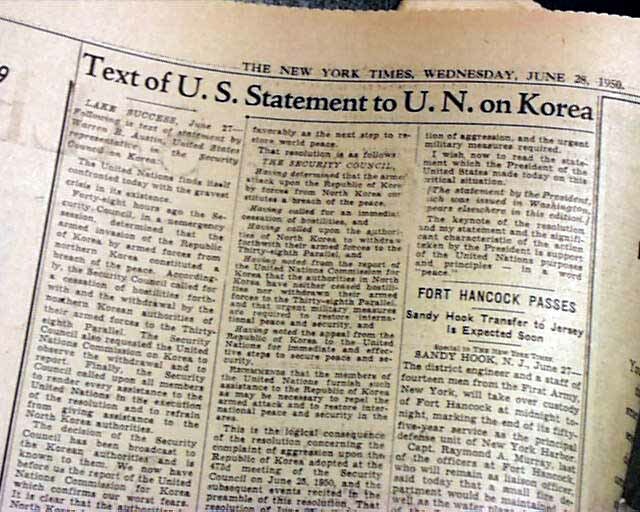 Present are pages 1-28 which is likely the complete first section. 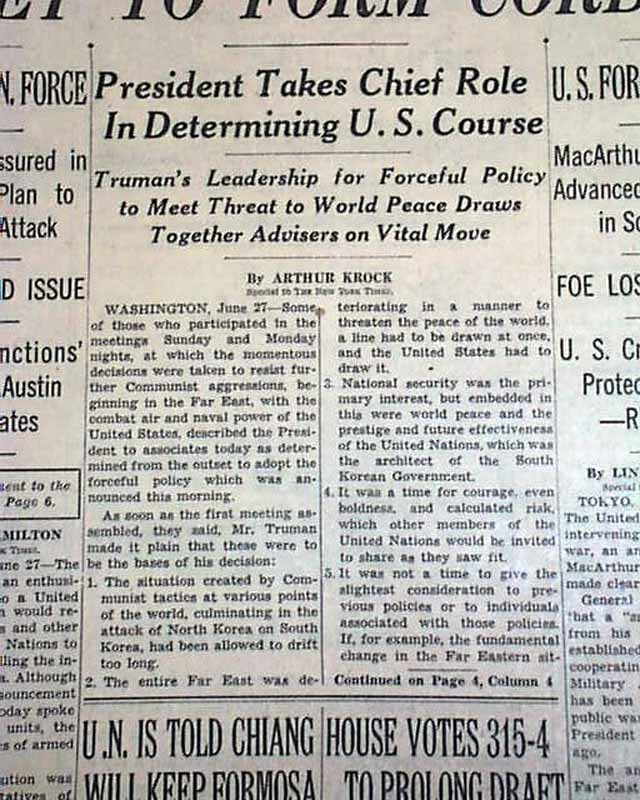 Never bound nor trimmed, nice condition.